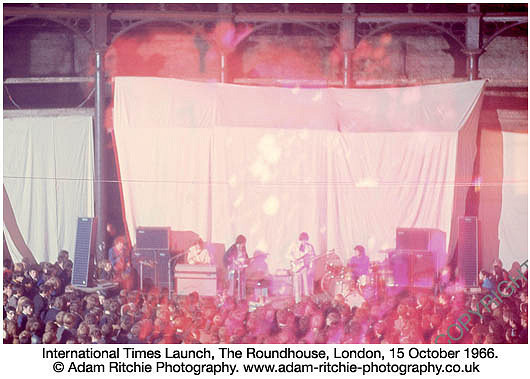 In October 2016 the Roundhouse celebrates 50 years since opening as a groundbreaking arts venue. To mark this milestone, we are creating a digital history, reflecting on key moments over the past five decades, and bringing to life the rich stories of those who were there at the time. It will act as both the official history and people’s personal history of the Roundhouse. 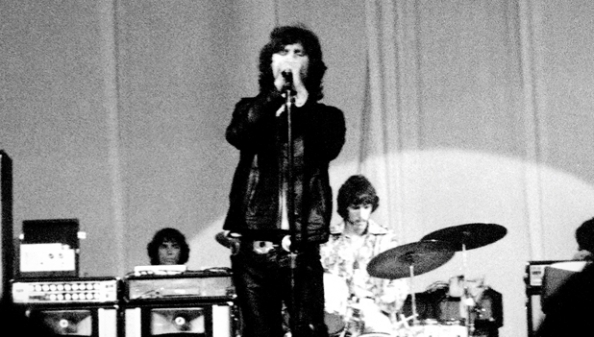 The International Times has a special relationship with the venue as its launch event was the venue’s first ever event in 1966 (when Pink Floyd played)! 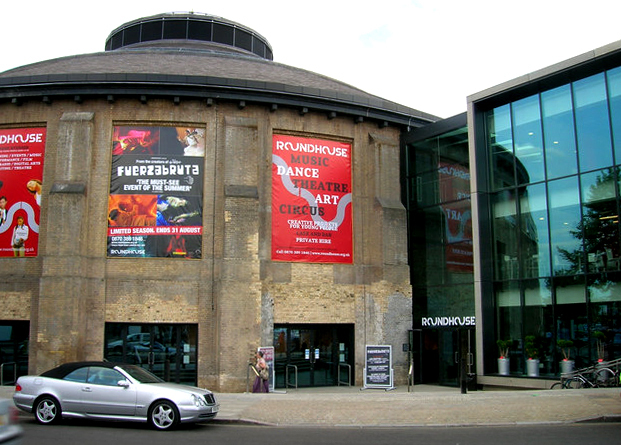 The Roundhouse is calling out for people’s Roundhouse stories, memories and photographs to help them create their digital history to celebrate their 50th anniversary. Were you there on 15 October 1966 for the IT launch? Have you visited the venue over the last 50 years and have some great memories from it? Have you got ticket stubs or photographs? If so, they want to hear from you. If you do, please contact myroundhousestory@roundhouse.org.uk with your story. 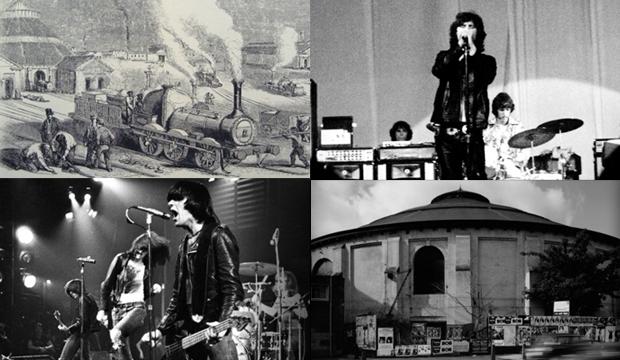 For the Roundhouse’s 50th anniversary website, we’ve been collecting stories, connections, photographs and memories to be included. We’ve received a huge range of stories, from recollections of the watching naked performers from The Living Theatre in the 70s rather awkwardly with their parents, to people who formed bands whilst at the Ramones gig in 76, to an infamous illegal rave on NYE 1991-2 that lasted over a week. Plus, the countless stories and memories from the last ten years of the Roundhouse in its current form. We’re looking for guest bloggers to help us turn these amazing stories into articles, blog posts and social media content for our new anniversary website. This is an incredible opportunity to be part of this moment and help raise your own profile. We have a number of people who are ready to be interviewed and share their story! As a guest blogger, you will receive a byline on the website with an opportunity to include your own bio page – with links to your own blog and social media profiles.The content can also be syndicated to your own blog. We’re looking for guest bloggers to produce content in time for our mid-October launch and beyond. Were you there the night of the launch, 15th October 1966? 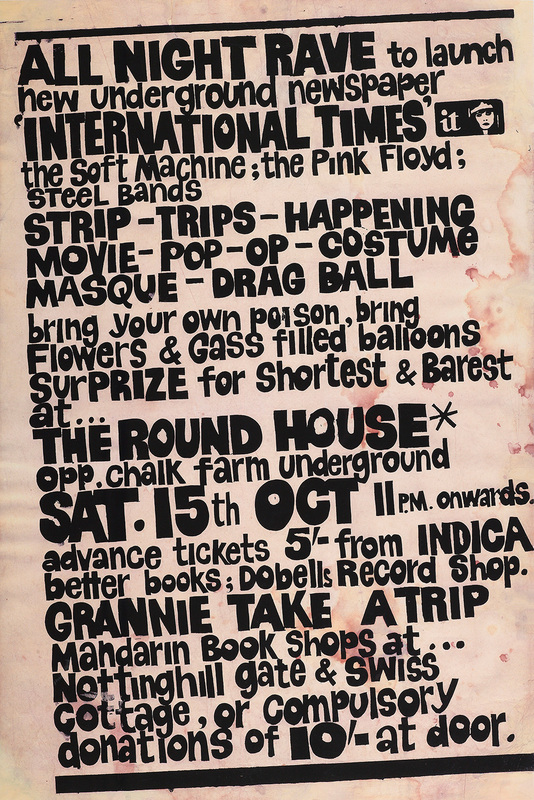 This entry was posted on 15 September, 2016 in homepage and tagged 50 year celebration, Camden, Chalk FArm Road, international times, Pink Floyd, Soft Machine, The Roundhouse. Bookmark the permalink. One thing for sure, back in the day we never referred to the Roud House, nor Roundhouse as being Camden, as it was then at Chalk Farm!